What’s special-est in Carlisle, you might ask? One glory not to miss is Tullie House Museum and Art Gallery – a regional gem. This year, it has its own unique story to tell, as well as more about the stories we all know a bit – the Romans, Vikings and Bonnie Prince Charlie, for example. 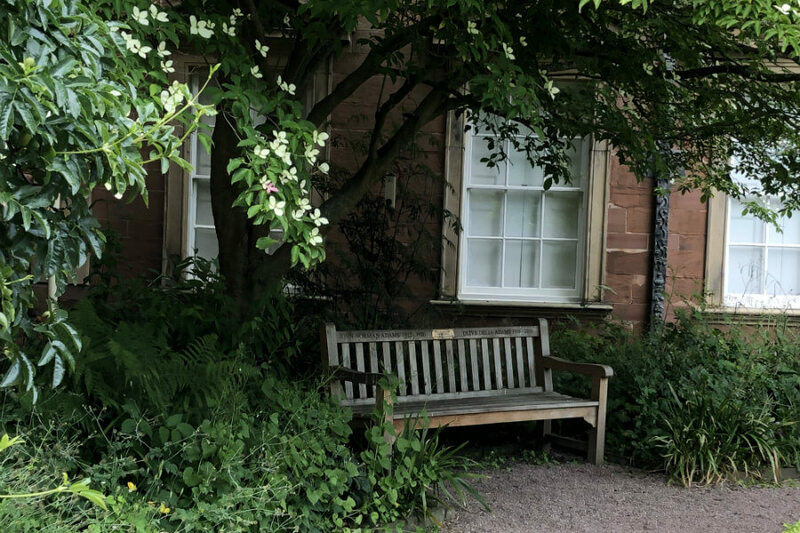 English Heritage and Wikipedia and the Tullie House website will tell you that Tullie House opened 125 years ago as a Museum and Art Gallery and that one Thomas Tullie, Dean of Carlisle Cathedral, built the Jacobean house that is now the core of the museum mansion as a family home. It eventually passed to the City Council who ran it as a library, art school and museum. Eventually gaining independent status, it’s now a treasure house, telling the astonishing turbulent story of the Borderlands from before the Romans right up to today. 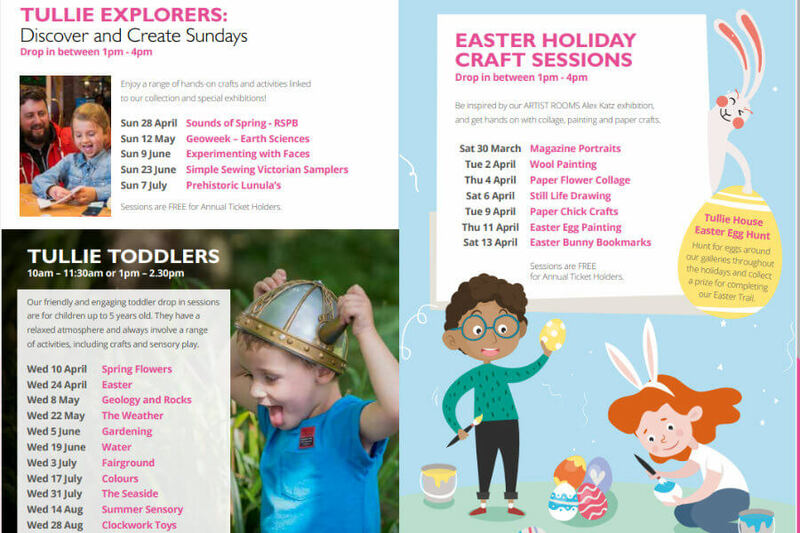 During these 125 year celebrations, the Museum will share its history through its collections, and the stories of the many local people who built it with their work, study and bequests into a Museum which won The Telegraph Family Friendly Museum of the Year 2015. Tullie House will also host special celebratory events from around the World. 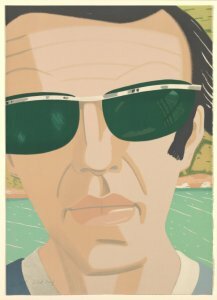 For example, one must-see is an exhibition of paintings and drawings of Alex Katz, see Alex Katz in Carlisle. Sure, you can catch Katz at The Museum of Modern Art in New York, the Art Institue of Chicago or The Tate in Liverpool but, why go all that way when his you can experience some of his work at Tullie House, Carlisle from 30th March to 16th June this year? There are a number of workshops to enrich the experience of those who want to immerse themselves in Alex Katz’s work, such as, “Appreciating Katz” on 6th April and “Katz Conversations” on 4th April, 2nd May and 6th June. See the Tullie House website on how to book. Tullie House is a great place to take the kids, with lots of special things for them to see and do, without being either teach-y or preachy. Be sure to take the time to see these permanent displays. The Border Gallery sets out Carlisle’s tangled history from prehistoric times, tossed back and forth between the ancient Brits, the English and Scottish Kingdoms, the English Civil War and the bloodily-suppressed Jacobite rebellions. We recommend this gallery for families with children under 10 years old. There are lots of interactive exhibitions for children to investigate and touch as their interest takes them. The Roman Frontier Gallery is an interactive introduction to Hadrian’s Wall and the Antonine Wall further North. This display is great for families with children from seven upwards and adults. The Living Wall is where visitors can engage with stories from around the world where walls continue to be used as barriers between peoples. 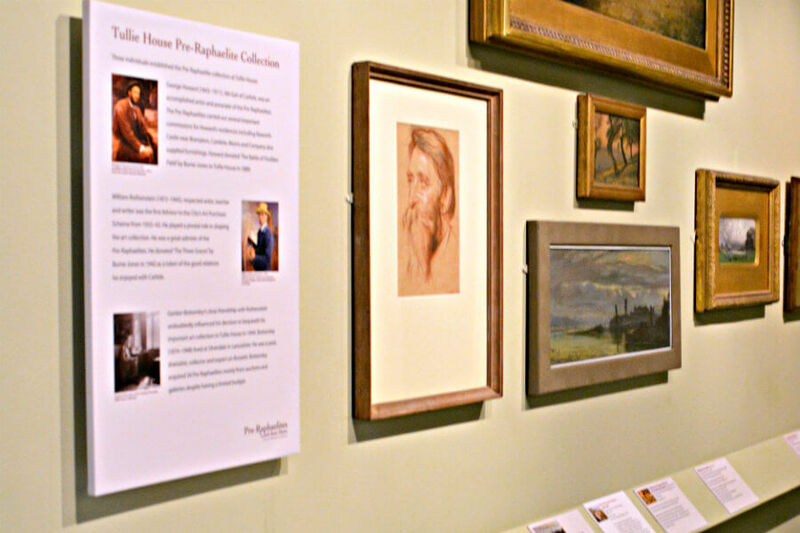 The Old Tullie House Gallery with its Jacobean and early Georgian architecture and contrasting pre-Raphaelite paintings is best for adults, young and old, who appreciate the architectural contrasts and the distinctive 19th and 20th-century art. The Jacobean Courtyard Garden follows Jacobeans plans of herbal planting for cooking and medicine. You’ll find an oasis for wildlife and a tranquil retreat for us humans. The Roman Garden takes a guess at what they enjoyed in their gardens with plants from Roman times. Many Roman plants thrive in the garden today. We hope that you’ll get to explore the garden and enjoy the relics that are in amongst the plants. The information panels are great in helping to connect the current garden with the past. 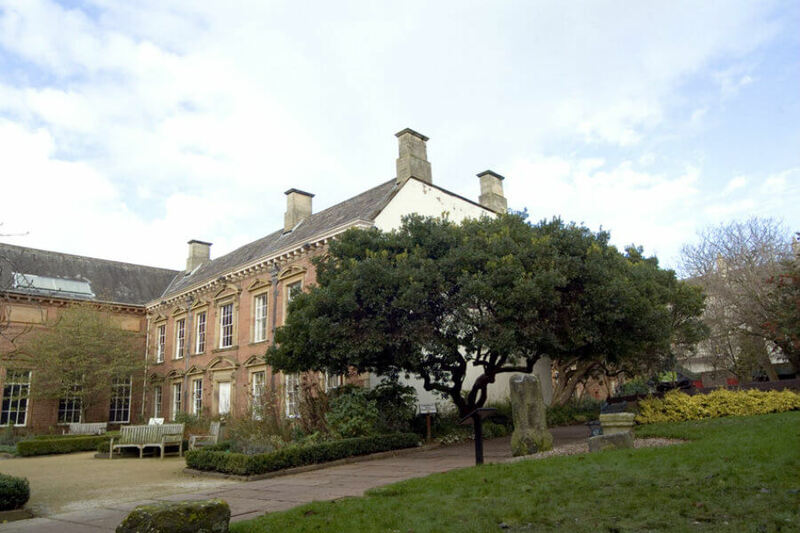 We hope that you get to visit Tullie House, it is easy to find, being opposite the Castle in Carlisle. Parking is nearby in the carpark adjacent to the Castle. 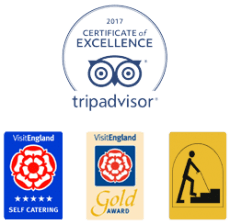 We’d love your feedback if you enjoyed what we recommended then let us know. If your preferences were different from ours, do let us know.